Who was sworn in as Haiti's President ? Name the Ethiopian runner, who broke the women's 2,000-metre world record, running the distance in five minutes, 23.75 seconds, at an indoor arena in Spain ? Which state government has recently announced that it has implemented 'e-Cabinet', a paperless system to cut down on the time taken to hold a cabinet meeting ? Russian President has recently approved an amendment that decriminalizes domestic violence across Russia. Who is he ? The Union Cabinet chaired by the Prime Minister Shri Narendra Modi has approved PMGDISHA to make 6 crore rural households digitally literate. This is expected to be one of the largest digital literacy programmes in the world. Expand it ? Which state government is going to link healthcare of the elderly to the pay of its employees to ensure that they look after their parents ? Name the first village in Bengal to ban sale and consumption of alcohol and narcotics ? Which bank has recently opened three completely automated branches in the US which do not employ any human ? The Lok Sabha has recently passed a bill, which seeks to enable employers to pay wages to workers through cheque or directly crediting to their accounts. Name it ? The Centre has formed a Committee comprising the secretaries of three ministries (Water Resources, Environment and Forest, and Drinking Water and Sanitation) to expedite the implementation of its ambitious programme under which it plans to free the Ganga river of waste by next year. Which programme it is ? Who is the minister of water resources, river development and Ganga rejuvenation ? In it's 5th Bi-Monthly monetary policy review, the Reserve Bank of India (RBI) kept the Repo rate unchanged at _________ %. The U.K. House of Commons has recently approved legislation that would allow Prime Minister to officially begin the Brexit process. Who is the Prime Minister of UK ? Technology major Google has won a deal to set up its first city-wide Wi-Fi project called Google Station in which Indian city ? 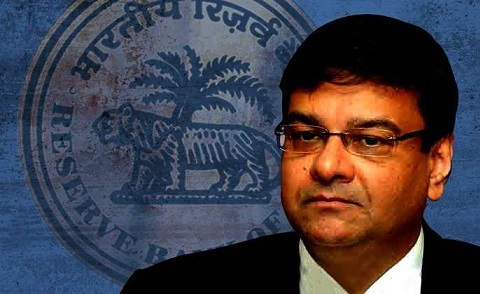 The government of India has appointed three non-official directors on the Reserve Bank of India’s board for a period of four years. Name them ?